Good morning and Happy Sunday everyone. I know many of you will be expecting to see an SLS theme post, and I do apologize that this post didn’t go up a few days ago. 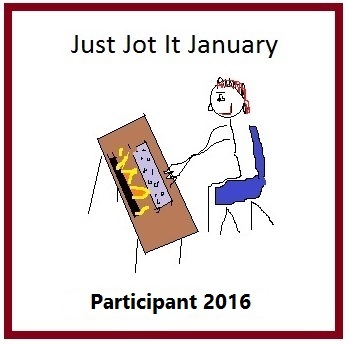 That was the original plan, but as with everything to do with my blog lately, things just aren’t going as planned. As many of you know, I’ve been struggling with some health issues for a few months now. All my tests keep coming up normal, so no one can really tell me why I’m having these symptoms, but they are truly affecting everything in my life. I still have a few more things to look into, but I’m not very hopeful that anything at all will be found, so I’m left thinking that perhaps this all has to do with stress. I have a very stressful day job and it makes any stress in my personal life that much more difficult to take on. When I first started this blog, my day job was boring as hell, so it left me with time to write and enjoy this wonderful blogging experience. I never could have imagined how much my weekly SLS post would take off. I do thank all of you for making each Sunday so wonderful for so many years. This decision has not been an easy one. I’ve decided to take a hiatus from my blog. When I first started it, my intention was to have it help me write every day and to put my name out there. I don’t think it’s serving that purpose right this moment, and I truly need any free (or in my case “well”) time to be spent writing. My blog right now, while a very good tool, is just a distraction and I need to figure out what I’m going to do with it in the future. Thank you again, to all my amazing followers, especially those of you who have followed SLS every Sunday. I will truly miss our weekly song share, and I do hope there is something similar out there that you can all find to share your love of music. Perhaps one of my followers has more free time and can take on that project. I’m just unable to sustain it any longer. I will miss you all and I’m so sorry this is the end of something that has been truly great. I hope you all understand that I feel its best for me and my life right now. I wish you all the best and I hope to see you all very soon! I am so sorry about your health problems and I hope that you will be able to recover. 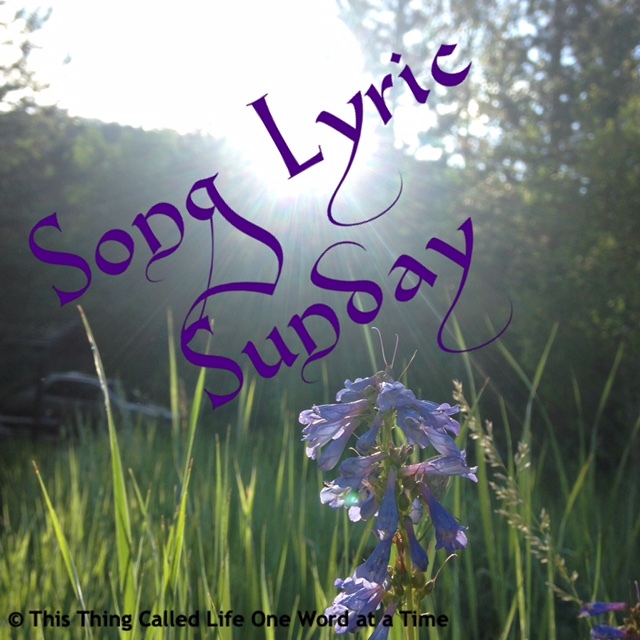 SLS is my favorite writing challenge and I don’t do anything any more except blog, so I would be happy to be the host for Song Lyric Sunday, if I am not being too presumptuous. You are welcome to do it. If you’d like, I have a list of Song Lyric Sunday themes I’ve used in the past. I would be happy to email the list to you. Just let me know! Sure I would appreciate that and I bet the readers would also. I made the prompt “doctor/health/medicine” in honor of you. It is a great honor for me to step in as the host of your challenge while you recover. I understand completely where you’re coming from on the prompt front. The most important thing is to take care of YOU, my dear. I hope your health issues work themselves out without the extra stress of having to be here on WordPress. If there’s anything I can do to help you with your writing, or publishing when you get there, please don’t hesitate to send me an email. As sad as I am to see you go, I’m happy you’re taking the necessary steps to be well. Looking forward to your next post, whenever it is, to let us know you’re doing better than ever! Get better soon, Helen! ❤ We'll be thinking of you. Thank you. Hugs and love to you as well! I hope you and your doctors can quickly get to the bottom of whatever it is that ails you. We are all looking forward to your return. Thank you very much. I quite agree with you about doctors. Hugs and love to you! Thanks Helen, I have started to experiment with holistic healing. Now most of my pain is still there but it’s bearable. If you feel it’s stress-related: have ever tried Mindfulness? One of my doctors suggested this book to me: “Mindfulness – a practical guide to finding peace in a hectic world” by Mark Williams. It is brilliant and helped me well with my mental health. I have also started to think that some of it is late symptoms of earlier abuse. There are studies that suggest you get more health trouble later in life without any obvious reasons. Hope you get well soon. I haven’t heard of it, but I will for sure look into it. I shouldn’t be surprised, much of my life has been just trying to survive every day. I am always looking for more ways to be more mindful and let things go. Thank you very much! Your health must come first Helen. Stress affects everyone differently and you should take as much time as you need. Everyone here will miss you and be thinking of you. Thank you very much. I will truly miss you all so much! You have had a positive impact on so many of us. Thank you. I hope your health improves and that one day you will be back. My heart goes out to you, Helen. I know all too well how severely illness can impact your life…and your state of mind. I’m thrilled Jim stepped up to continue your challenge and I’ll be right there with him participating. Sending you love and prayers for a full and complete restoration to GOOD HEALTH…SOON! This means so much to me. I’m truly blessed with how SLS has taken off and it wasn’t easy to walk away today. I will do my best to keep everyone updated. Love and hugs to you as well! I'm happy that Jim has volunteered to take on the challenge in your absence. I’m very grateful for Jim. Thank you. I hope to be back soon. I’ll give it a whirl. I figured that since you had “new” as your theme last week, your theme this week would be “old.” I already have a song picked out. Will re-blog your post with my theme, and if you then re-blog my post, your followers, who aren’t already my followers, will have the information. I hope that once you get something published, you’ll re-consider blogging. Yes, it’s time consuming, but it’s a great way to promote your work, even if you just do it once a week. Good luck. Thank you. Someone else had already posted a theme for today. I will reblog his post today, but most likely won’t keep doing it. Thank you so much for the offer! Helen Vahdati will no longer be posting Song Lyric Sunday themes, so I have opted to take on the task. From now on, I’ll post the theme sometime during the day on Saturday to give you all plenty of time to find a song and post it. since last week’s theme was “new,” this week, let’s do “old.” Of course you can go your own way with this, but whatever you do, please be sure to include a link to a video or other such recording of the song plus the lyrics, documenting their source. Also, please ping back to this post so I’ll know you’re participating. I look forward to hearing your selections. Helen, I took a few months off at the end of the year for very similar reasons as you. You need to look after yourself and while I am deeply sorry you are having to give up the blog for now, I am proud of you for putting yourself first. I am glad Jim is taking up the task of SLS for you. I had thoughts of it in my heart but thankfully my brain took over as I too still need a lot of self-care. I hope you find out what is causing your symptoms and that not having the stress (even if it was good stress) of coming up with topics and then answering all your followers will be healing for you. I hope you will be able to come back at some point but that is something only you can determine. Take good care, Helen. You are very loved here in the blogosphere. So sorry to hear of your continued health problems Helen. We will all miss your great leadership and themes for SLS and thank you for all your grand work over the time you’ve been doing it. I hope that you and the doctors sort out and fix whatever is ailing you, and as soon as possible. WE hope to see you back in the WP world soon. Figuring out what is wrong can get very expensive and that can lead to more stress! Terrible situation. Hoping you get rest and they figure out what is ailing you soon. I completely agree. Thank you very much! Check back and give us an update occasionally. Maybe someday a renewal of posting will be a “stress buster.” Prayers for a better 2019, and for a diagnosis of your health issues and wisdom for what procedure to follow to achieve wellness again. Thank you very much! I’ll check back soon! I hope that you are able to soon get back to health. All the best. We will all miss you Sis, but we can all understand how you are feeling. I for one have had to take blogging breaks in fact I should imagine 99% of us have had to. So take your time find out what the problems are and get better. Well what better way to bow out… On a song of course. Get well and see you soon. Thank you, Willow! Love and hugs to you! So sorry to hear this. I understand and hope a firm diagnosis is found soon. All the best to you. You’ve started something mighty special here. I am glad Jim stepped in and I will continue to participate in #SLS. I hope I can find some answers, or at least find a better way to deal with it all. I’m truly grateful to Jim and know he’ll do a great job. Thank you so much for your kind words. I’m going to use this time to really reset and figure out what I need going forward. I’m hoping to be back soon! Thank you so much Kirst! I truly appreciate the love and support. For some reason, I am distracted by the fact that you’re taking a break when you have exactly 1,111 followers. 1111 is a very significant superstition in our family and usually means something really good. I hope this hiatus will help. (as an aside, I think there is a way to find each other’s email addresses just in case you ever need to bend the specific ear of someone 3 years into mysterious, un-diagnosible symptoms…. The VERY Best to you Helen. Thank you so much. My followers were a significant reason I kept going, but it was just becoming too much. I think the hiatus will help me move in a direction that will work best for me. I will miss your weekly music prompt, but I hope that you can get some good rest and soon be well. Love you sweet girl!! I’m sorry to hear you won’t be around on Sundays, but I understand perfectly. Focus on getting healthy and we’ll see you again when we see you.